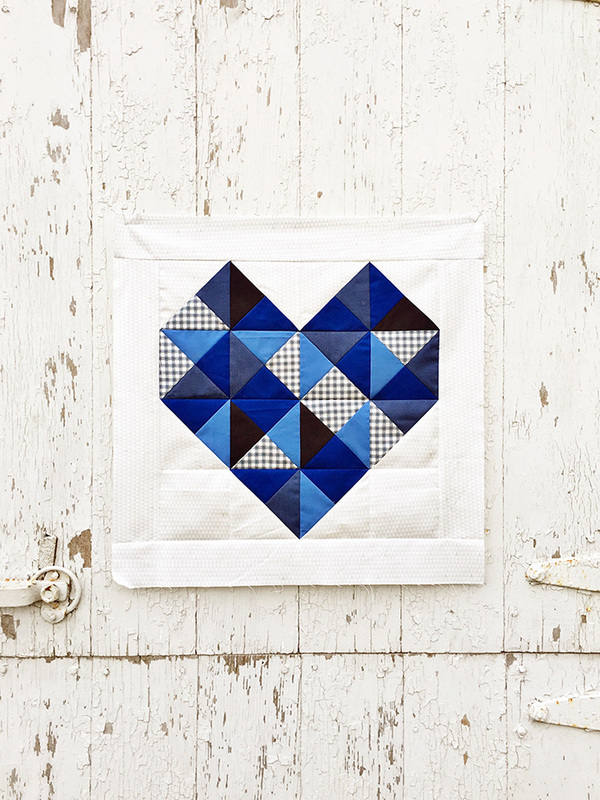 Did you see that Megan at Canoe Ridge Creations is collecting heart blocks to be made into quilts for the families of the fallen officers in Iowa? She asked that the hearts be made from royal blue (prints and solids) and the backgrounds made from white or gray (prints or solids). I'm using these Cotton + Steel fat quarters that I just won stole at the dirty Santa swap at the Greenville MQG and will throw in a couple of solids. You can find out all the details including a link to her free pattern in her blog post here. I'm making this my One Monthly Goal for November 2016. A big thanks to Heidi who has hosted the OMG link party and now passed the baton to Patty at Elm Street Quilts. You chose wonderful prints for your blocks Paige. This is a very worthy goal. Great fabric pull. Thanks for linking up with Elm Street Quilts One Monthly Goal - what a good project to work on. I didn't know about this but thanks so much for posting! I would love to participate. Great fabrics for a well deserved cause . I really love your cutlery fabric . But what is a dirty Santa ? I am nearly afraid to ask ! I love the C&S prints (as you know) and look forward to seeing the block! Thank you for sharing this project! 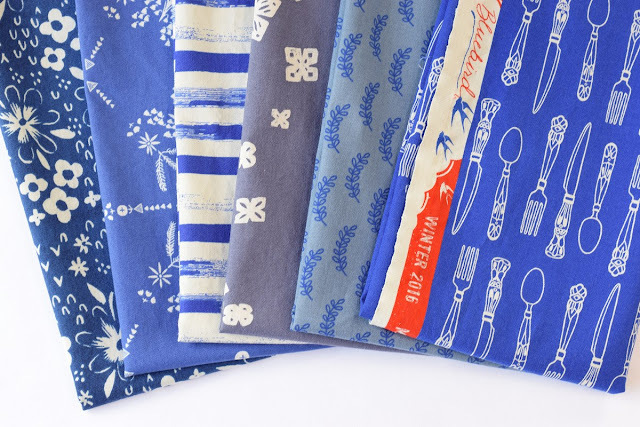 I have been gathering blue and white fabrics to make something, someday...I may well, use them here, if she can wait until January (so, VERY, over-scheduled through the winter holidays; sure I am not alone!). Katie, I'm over committed as well, but surely I can make ONE block! Thank you for stopping by! SDuch a cute block! I love the little pop the gingham adds.